This week the Joy's Life Design team is having a FREE FOR ALL! I love combining my Joy's Life stamp sets, so I grabbed the Mother Daughter set and the Joyful Hearts set to create this fun card! 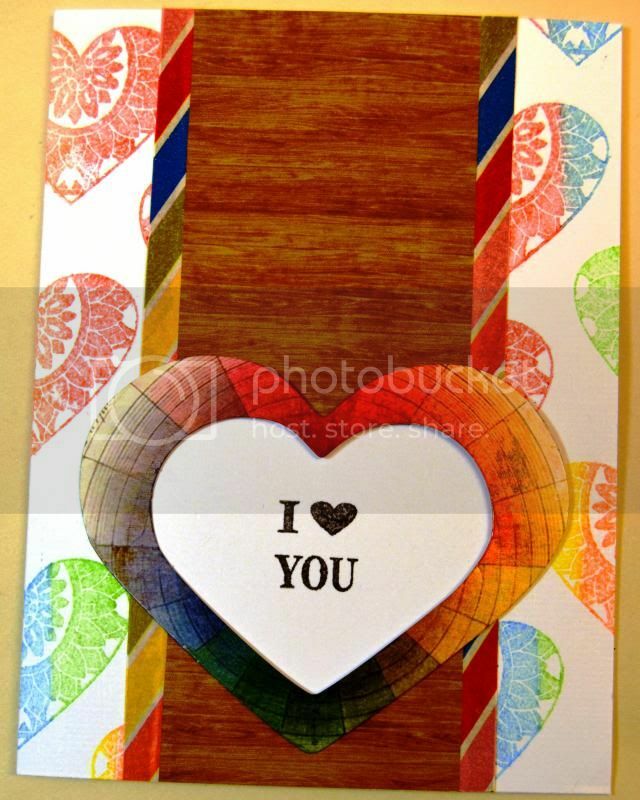 I stamped the heart from the Joyful Hearts set using a multicolor Clearsnap ink pad. The sentiment, from the Mother and Daughter set, is stamped in black Clearsnap ink. The patterned paper, die cut and washi tape are all from Glitz. I applied the washi tape to the sides of the patterned paper, so that it was half on and half off, then I trimmed the half that was hanging off.